Eeeh the summer of 76! 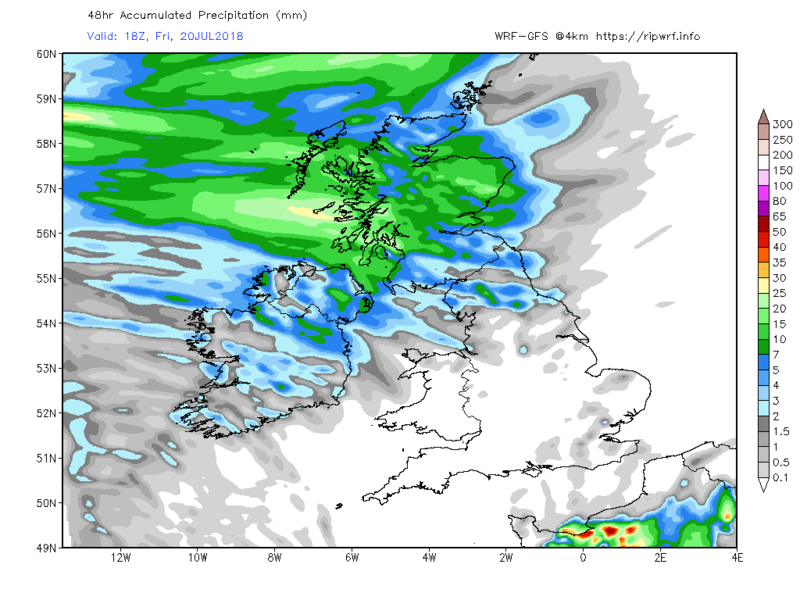 It's similar, but the one crucial difference is that we had a wet winter (partly through snow) and spring this year, hence why not all water companies have introduced hosepipe bans yet. 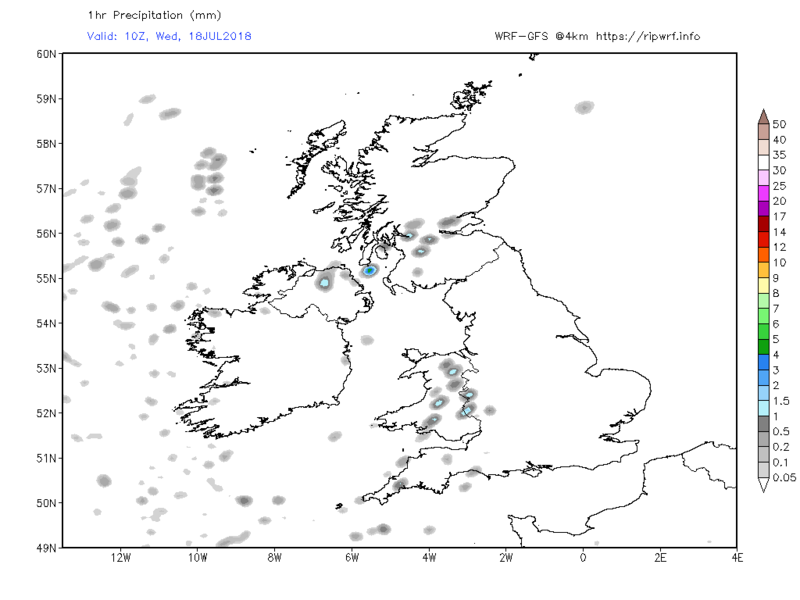 In 1976, that summer followed a dry winter and spring and a fairly dry summer the previous year, hence the shortages. 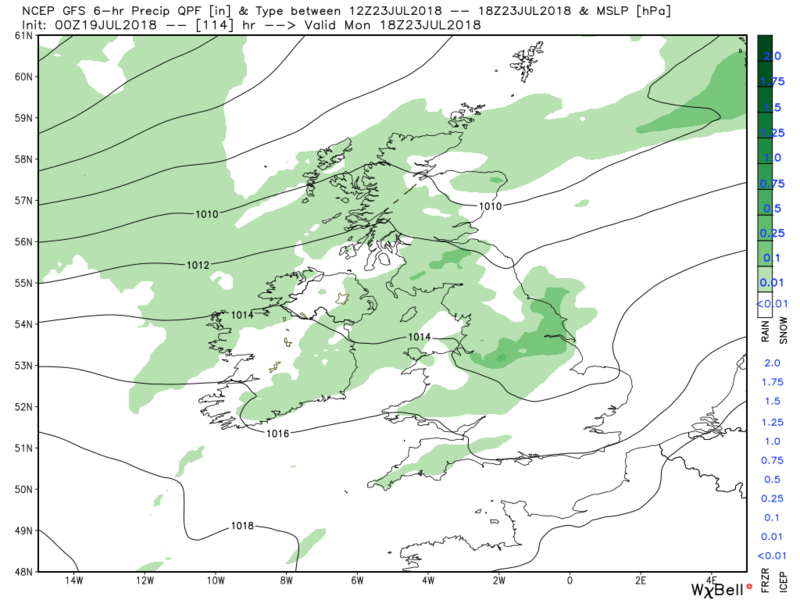 This will probably continue through the day with showers popping up in western and northern areas whilst elsewhere it will be dry and sunny, albeit not as warm as of late. Overnight and through Friday the fronts will struggle south east against the ridge which creates a marked NW/SE split with cloud and patchy rain in the north and sunnier and increasingly warmer temps in the south. 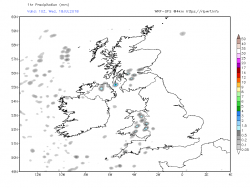 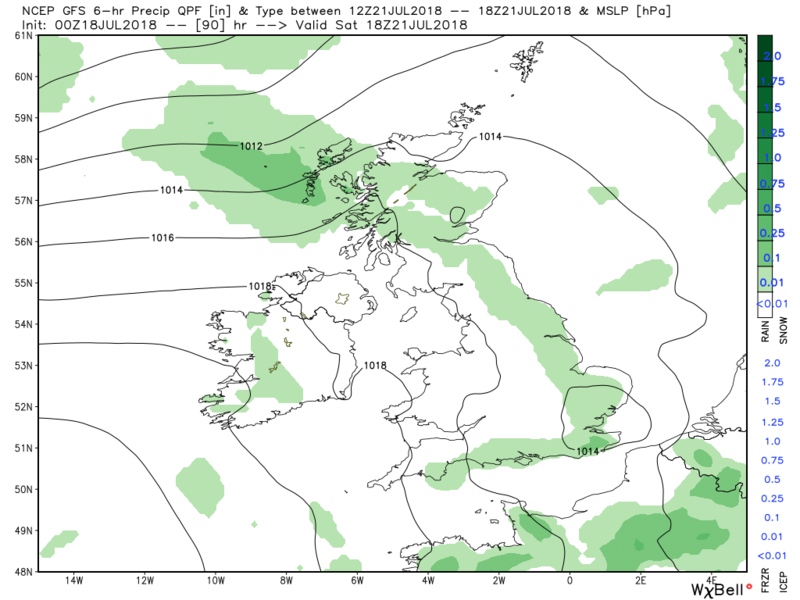 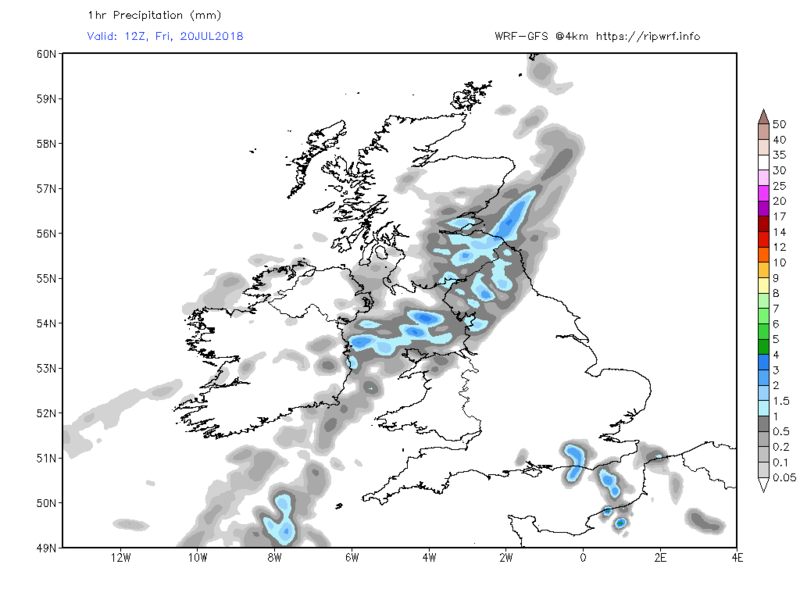 By Saturday the fronts have coalesced into a weakening occlusion straddling the country so perhaps still some light patchy rain in places and maybe the odd shower popping up in the warmer south east. 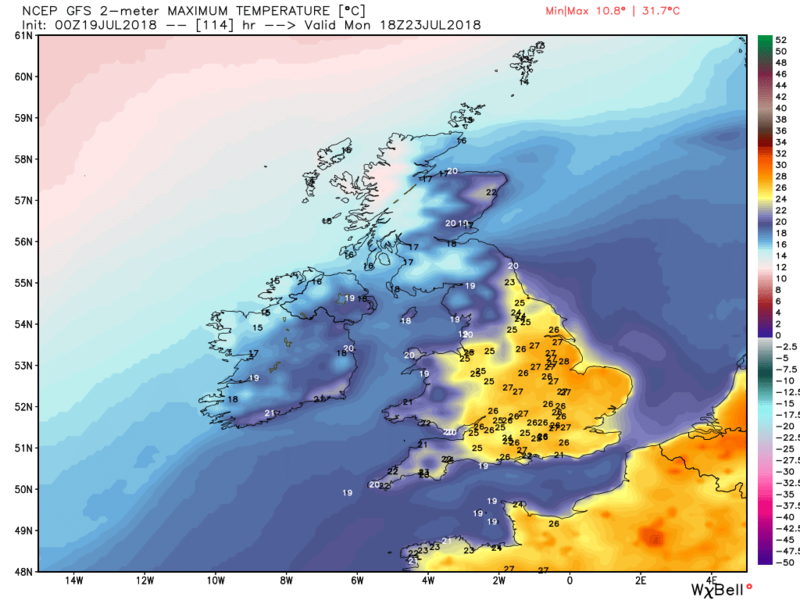 ( as usual the model temps are merely a guide). 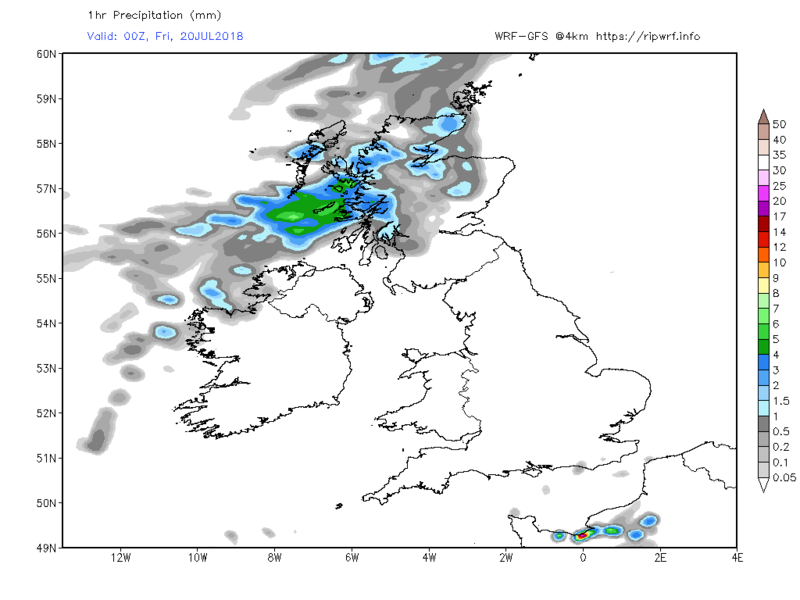 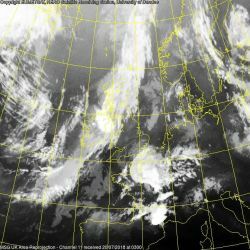 But a new frontal system associated with another low over Iceland will bring more cloud and light rain to north west Scotland during the evening. 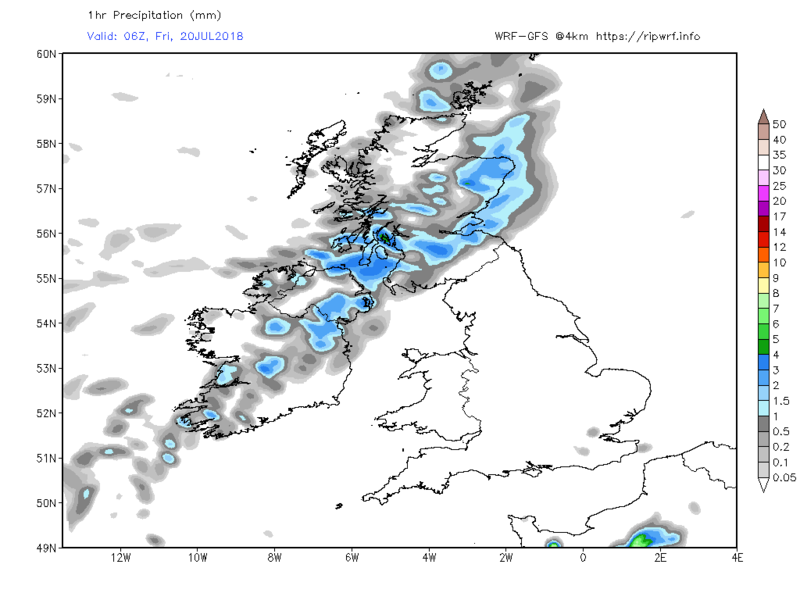 This rather messy frontal structure will bring cloud and some patchy rain to N. Ireland and western Scotland on Sunday, and perhaps western areas in Wales and England also whilst the south east becomes increasingly warmer as the old occlusion clears to the south. 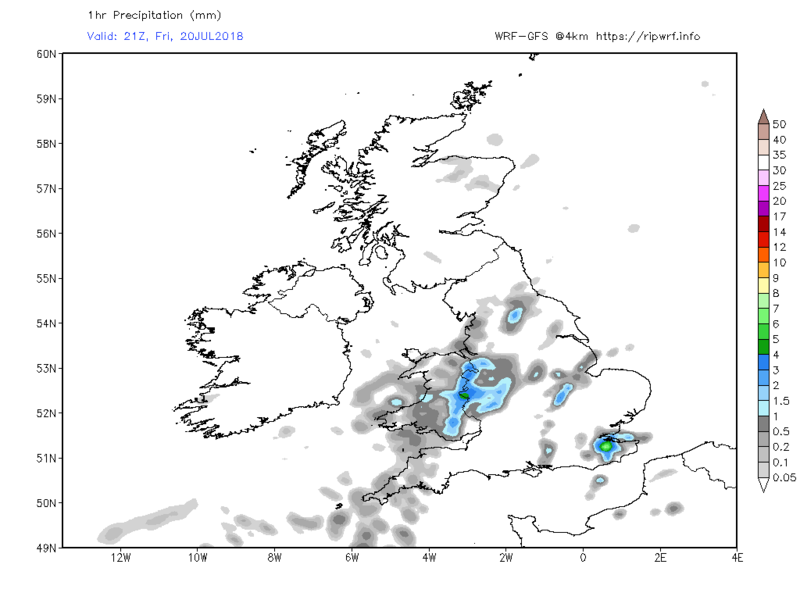 It's been 45-50 days since the last measurable rainfall in much of southern and eastern England, almost as long as the country went in 1976. 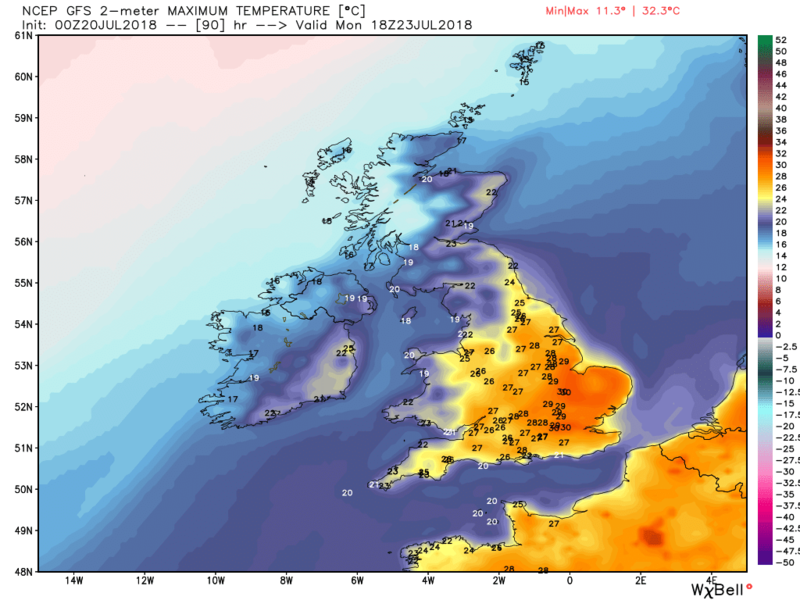 By all accounts, the longest ever period without rain was 73 days in London in the 1890s, so, down here at least, I think it qualifies. 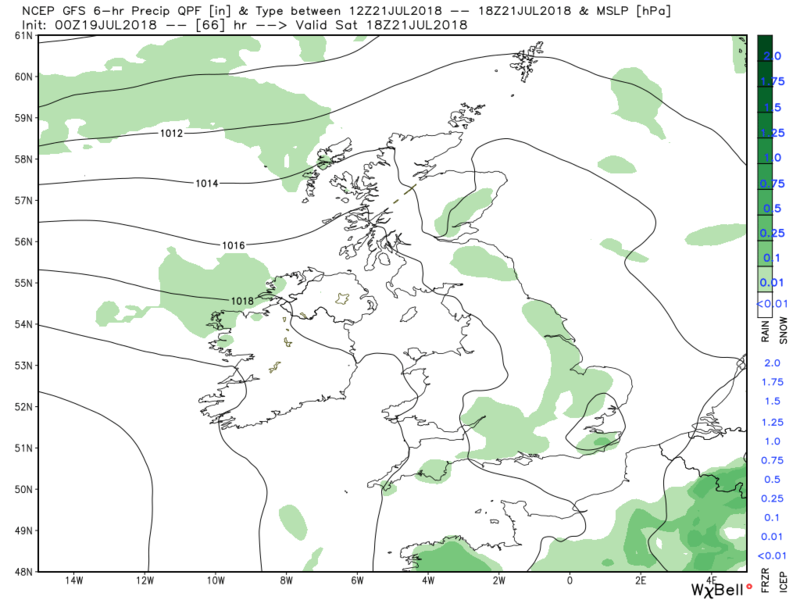 Yup, 1976 was another nice one m8. 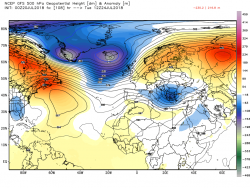 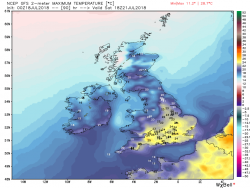 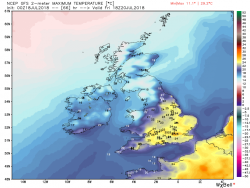 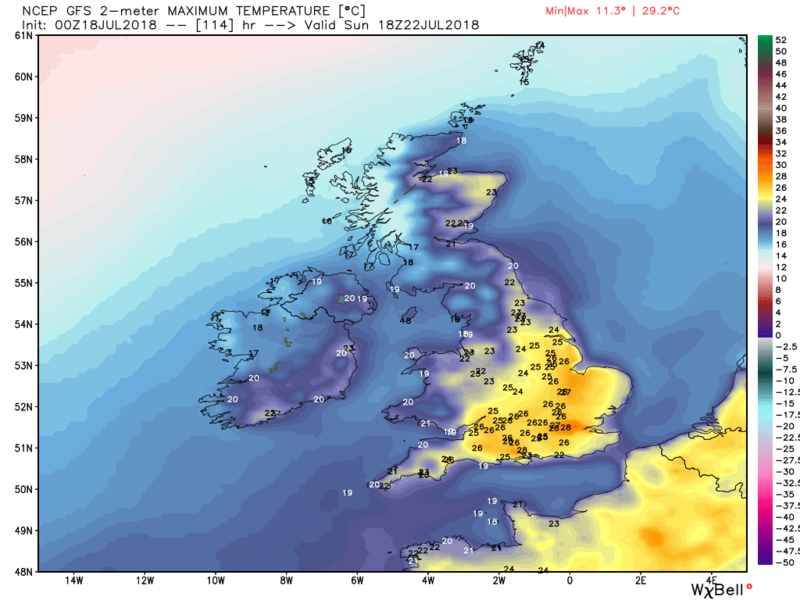 ADVANCE WARNING: southern and eastern England is likely to see a prolonged period (7 days minimum) of daytime maxima at or exceeding 35C from the middle of next week. 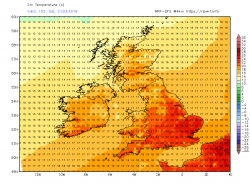 Some outputs are showing a credible British record of 40C, which would obliterate the previous mark. 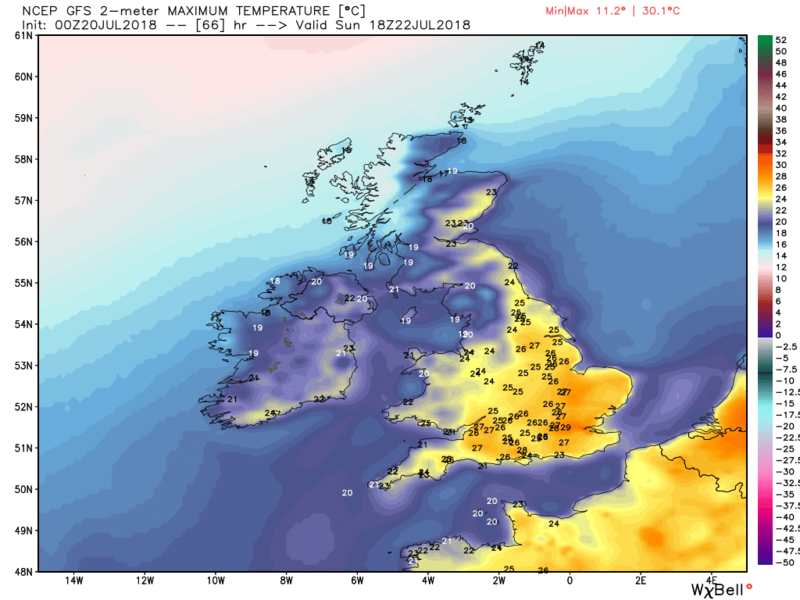 This is a temperature at which even fit, healthy people are at risk of heat stroke and a dangerous runaway increase in core temperature. 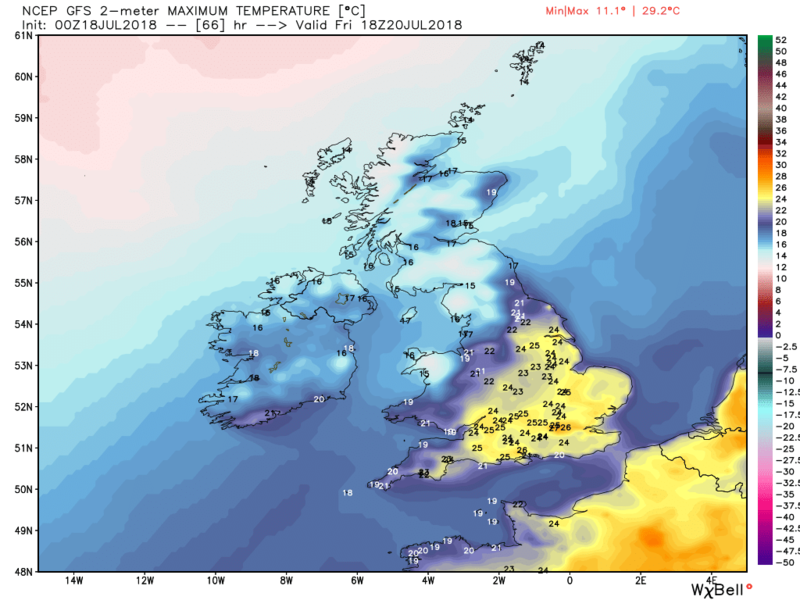 My advice is that, if tempertures in your area get above 36-37C and you cannot find somewhere with air conditioning, try to drink a minimum of 2 litres per day excluding moisture from food. Avoid being outside for more than a few minutes around the hottest part of the day, which is between 2 and 4 P.M. NOT mid-day, and be aware of the signs of heat stroke. 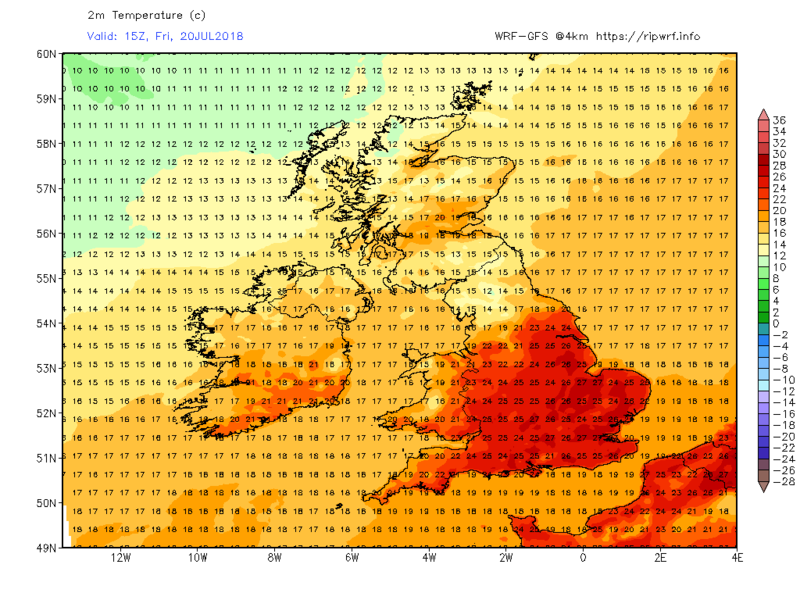 The outlook is for it to become very warm/hot and humid in SE/E regions whilst the NW/W is cloudier and cooler with some patchy rain/drizzle at times. 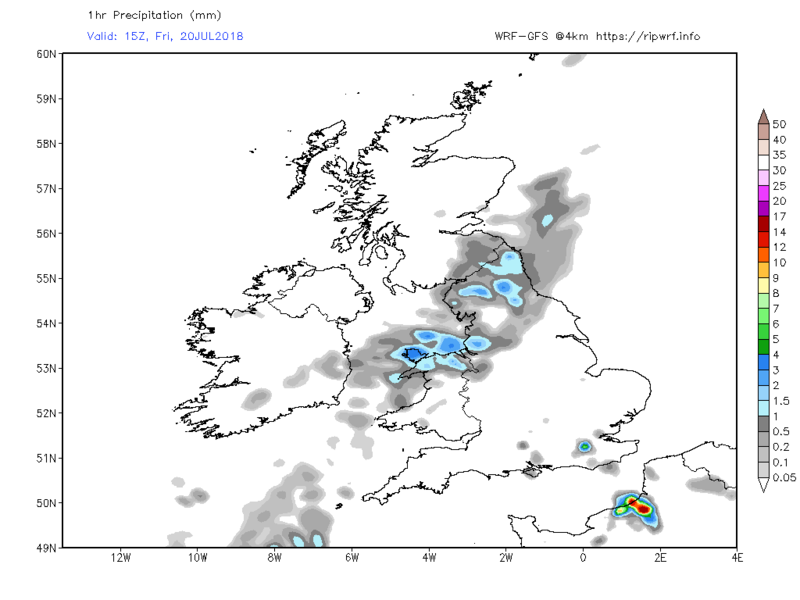 This regional split is symptomatic of the slight adjustments to the pattern and may, as it slowly evolves, become more W/E It's all rather knife edgy. And this patchy cloud is likely through the day but in areas with clear periods it will get quite warm in the light winds. 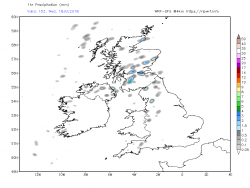 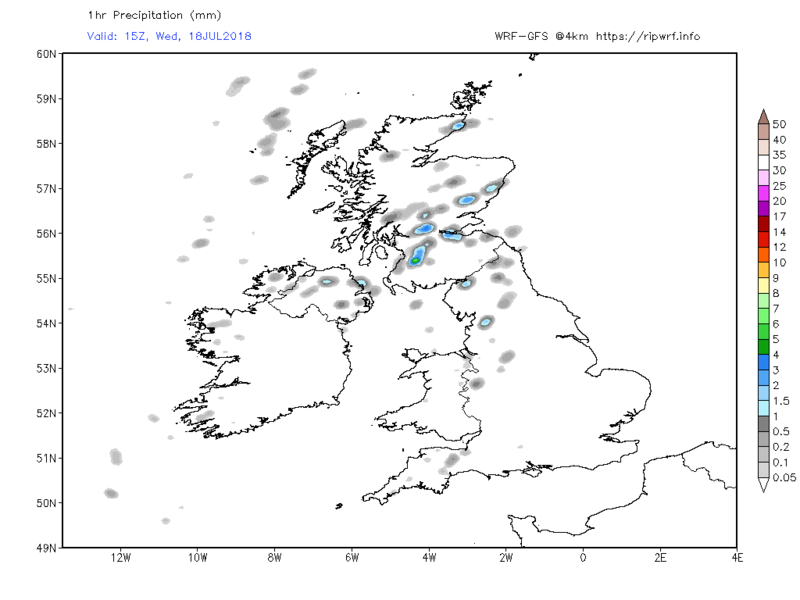 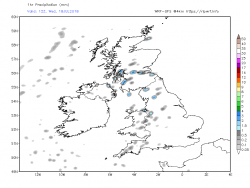 Might be the odd shower in the north of England and southern and east Scotland. But through the evening some cloud and patchy rain will effect north west Scotland courtesy of fronts associated with a low east of Iceland. 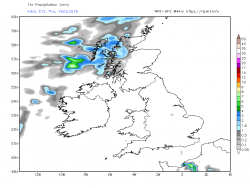 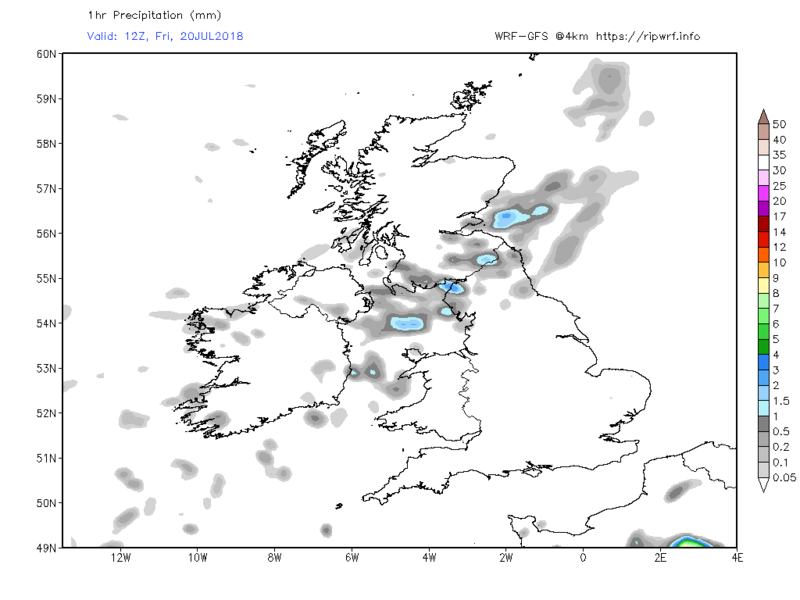 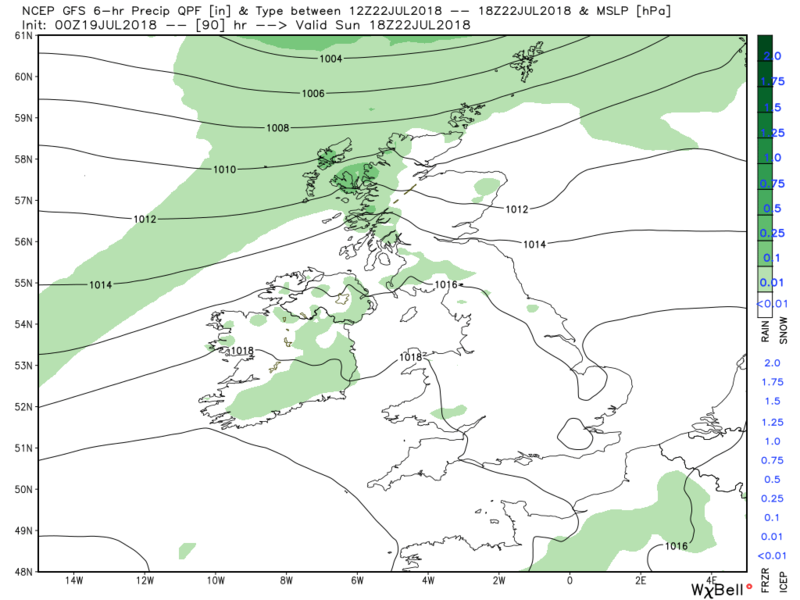 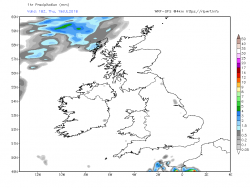 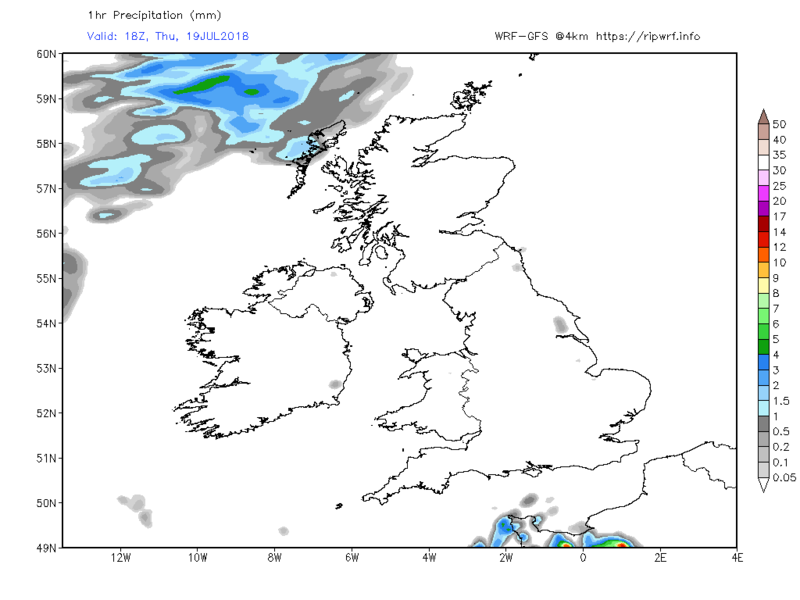 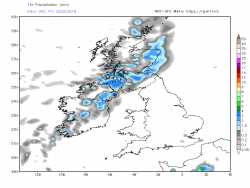 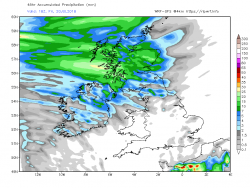 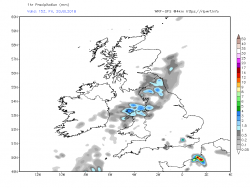 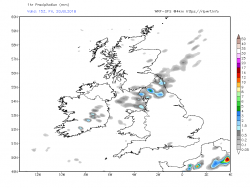 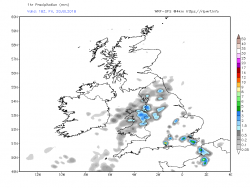 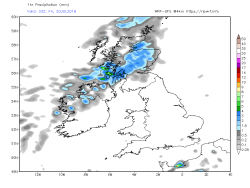 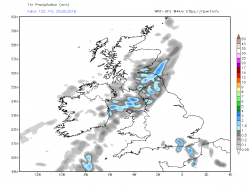 The fronts and associated cloud and rain will push east overnight Thursday through Friday into the rest of Scotland, N. England, Wales and the west Midlands but all the time weakening against the ridge whilst the south east becomes increasingly humid and warm. 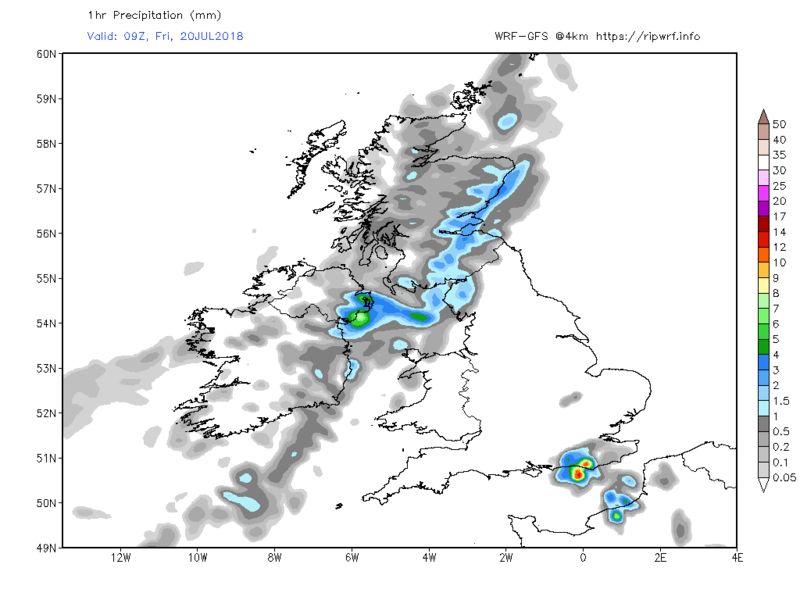 This could well trigger some storms, particular along the convergence line. 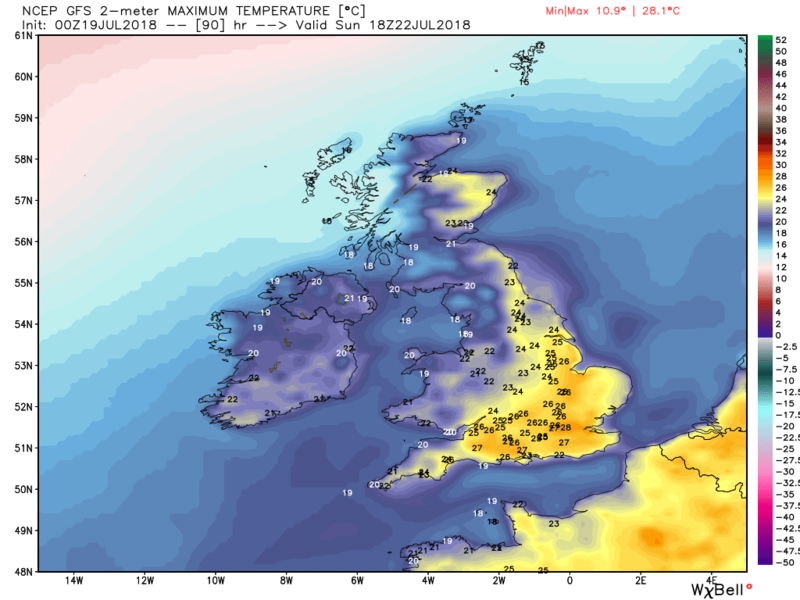 Saturday sees the regional split developing as the weakening fronts stall the south and east become very humid and warm with perhaps the odd shower and relatively cooler elsewhere. 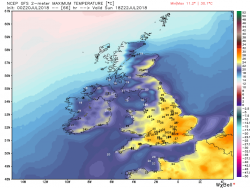 Sunday another warm day but another frontal system will bring some stronger winds and patchy rain to N. Ireland and western Scotland. 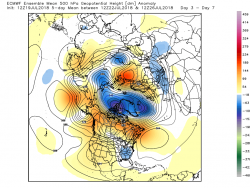 Beyond the limits of the short-range discussion in which Malcolm posts, the extreme heat has eased in the models this morning (though they could revert to the 36-39C range they showed yesterday). 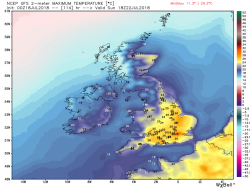 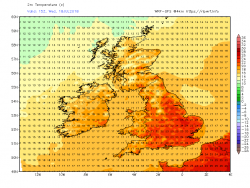 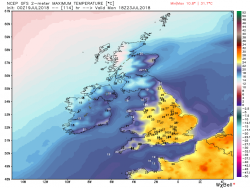 At present, the south-east should be around 30C by mid-week, with temperatures dropping-off sharply the further north and west you head and rain or showers in some north-western areas. 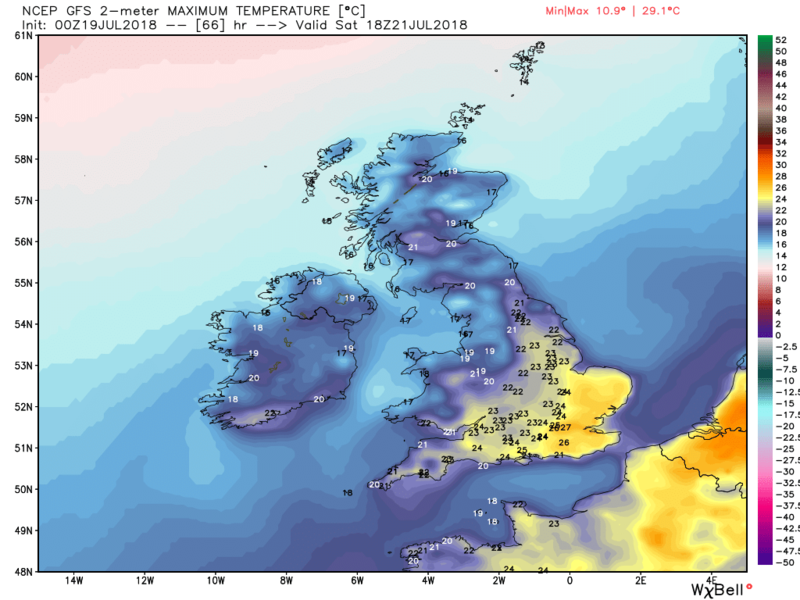 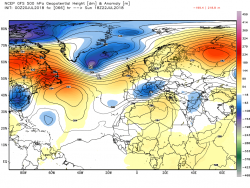 Late next week into the final weekend of July, the current model runs suggest 35-36 in the south-east and more areas, even to the north-west being in the mid-high twenties. 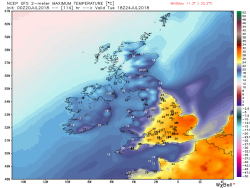 Pretty much nailed it! 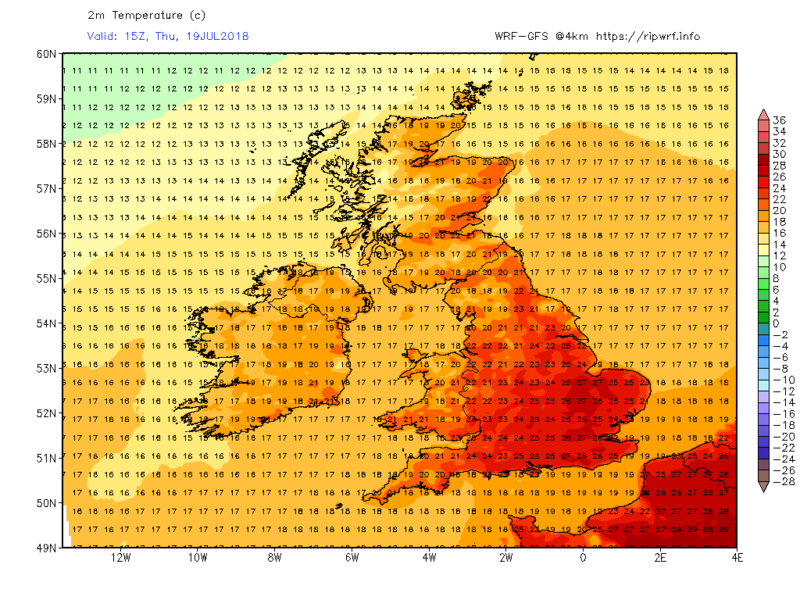 Warm here today, though we went to Sheringham where there was a brisk sea breeze. 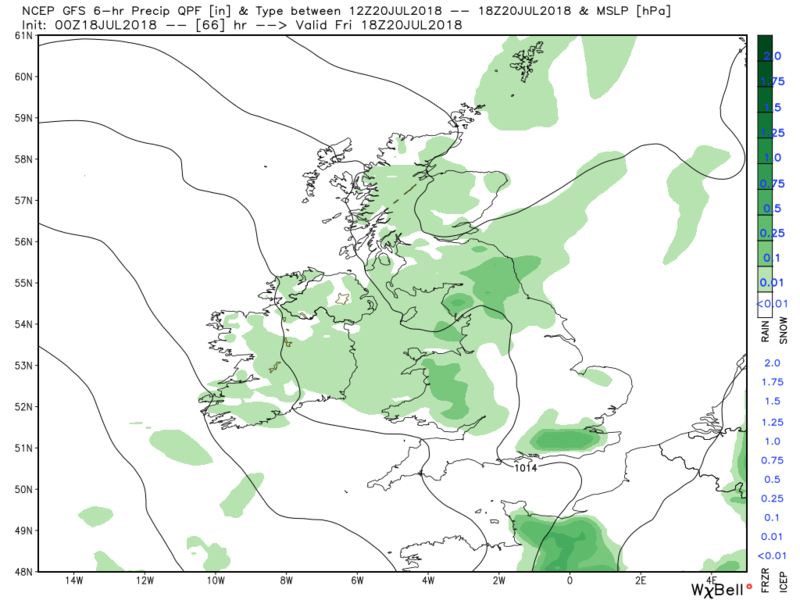 Liam Dutton has a video on prospects for the weekend as well as emphasising the uncertainty regarding next week. 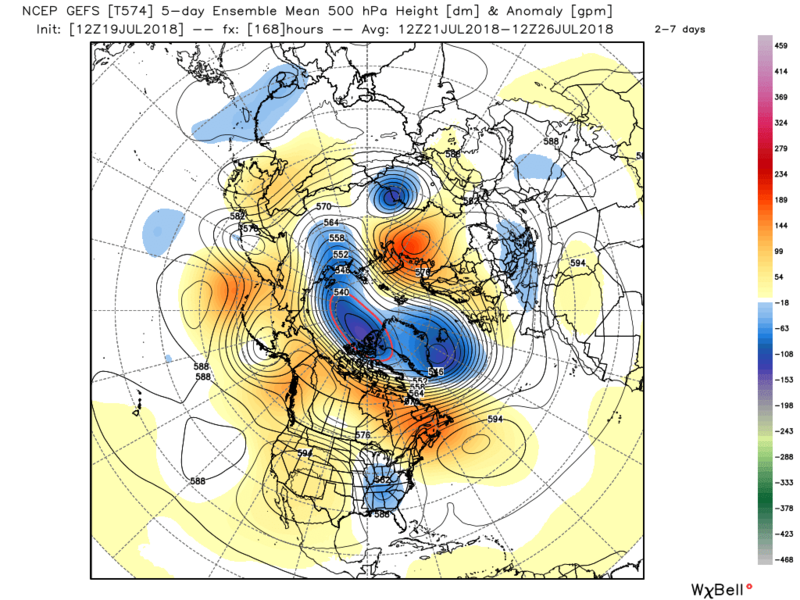 Just a brief look at last night's medium term anomalies just to keep abreast of the long wave upper pattern within which the det. 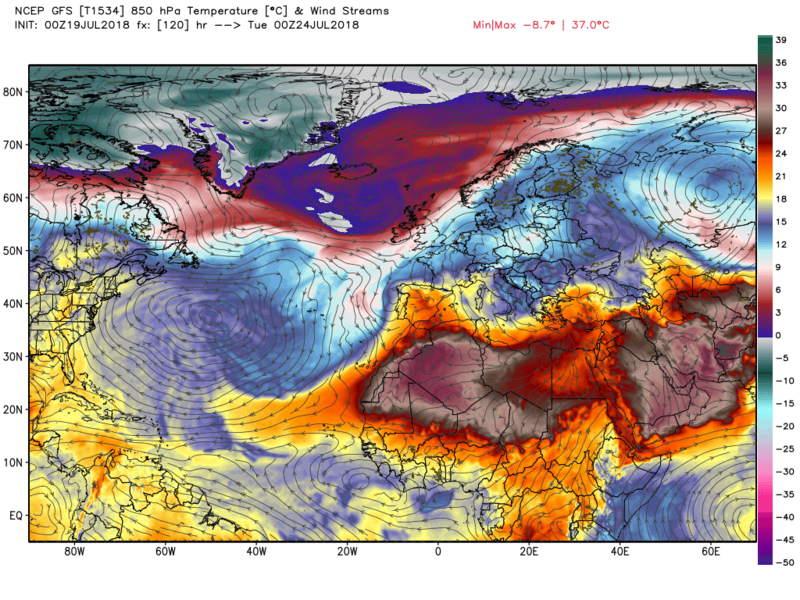 runs are operating. 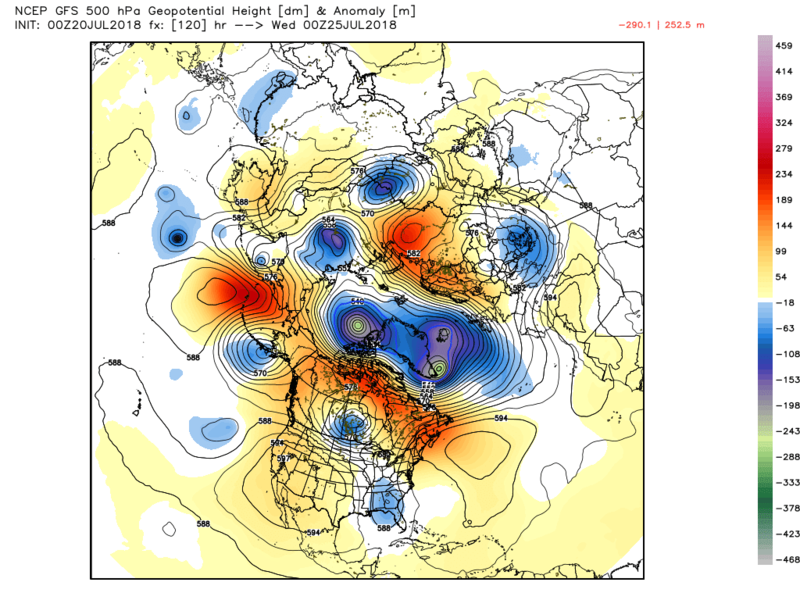 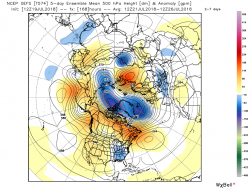 The main players remain the vortex over NW Greenland/N. 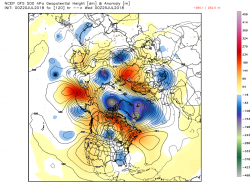 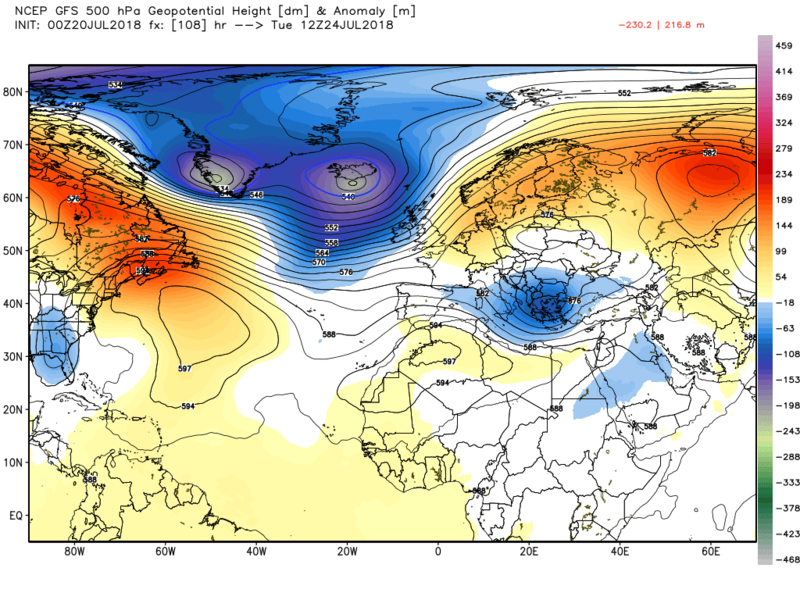 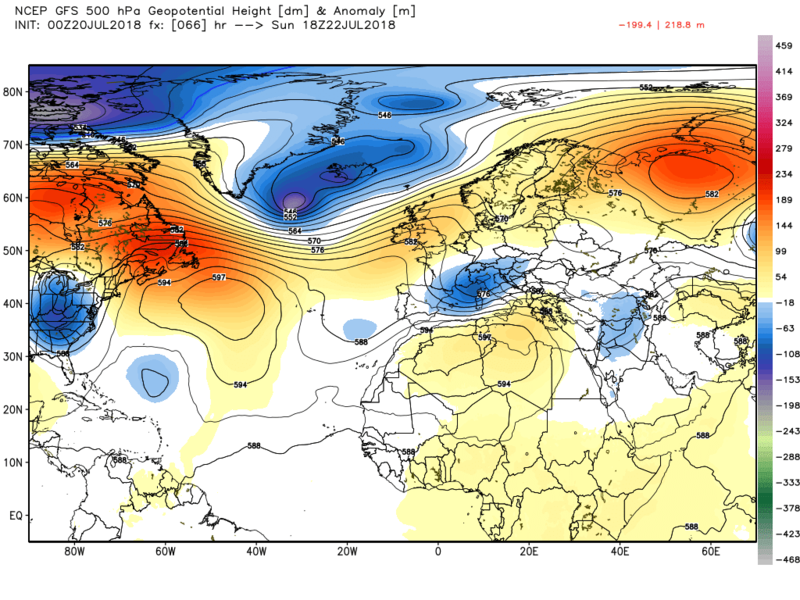 Canada with associated troughs down through northern Russia and the other south through Greenland into mid Atlantic.Downstream to the latter is the continuing and very impressive block over eastern and northern Europe ably supported by low pressure to the south east. 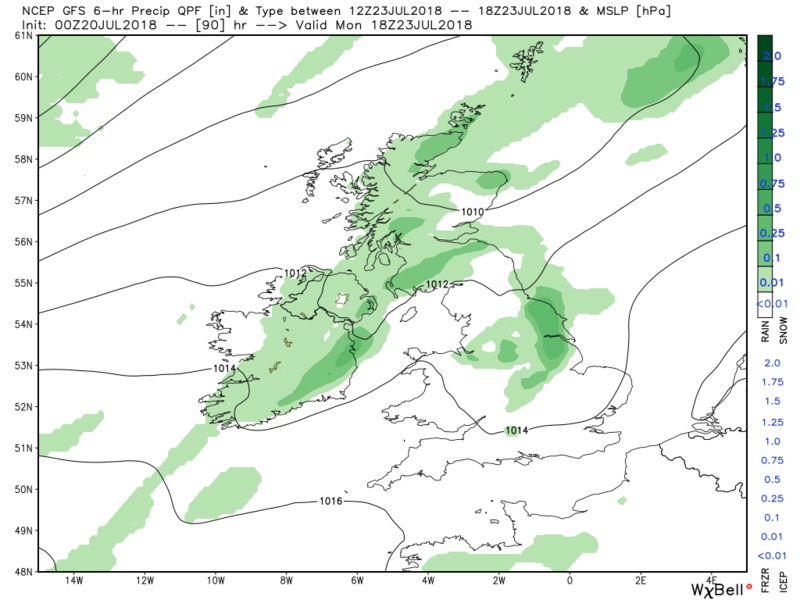 tracking slowly south east during the day with the rain becoming quite patchy as the progress of the fronts becomes quite problematic.Meanwhile skies to the east and south of this remain clear and temps rise sharply which will trigger some storms in these areas. 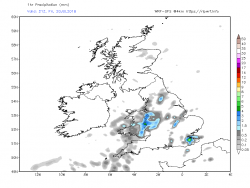 If you happen to catch one the rain could be quite intense for a brief period. 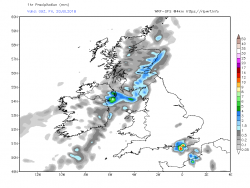 Both the rain and storms will tend to fizzle out by late evening. 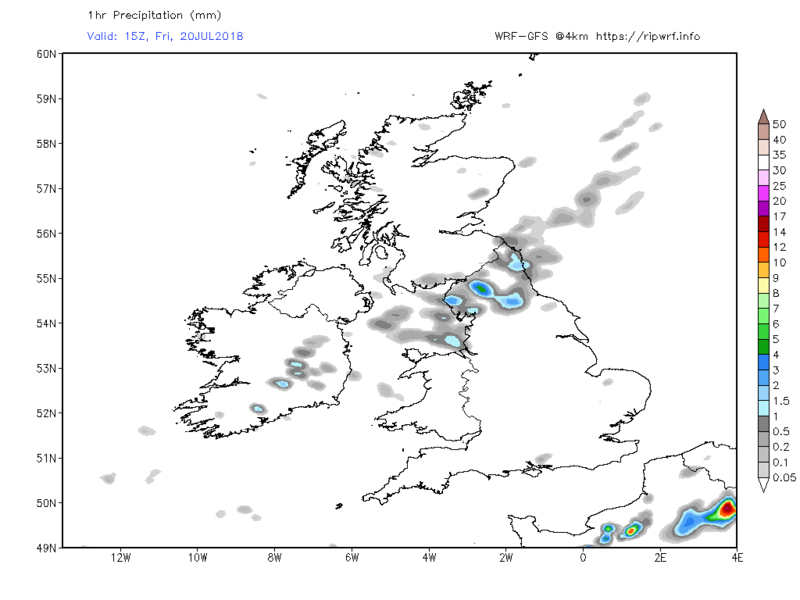 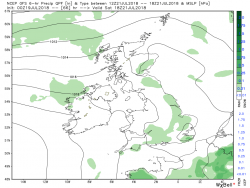 Sunday sees the upper trough to the NW developing and surface fronts bringing cloud and some patchy rain to the north west whilst in the south and east of England it will be hot and sticky with maybe the odd shower littered around. 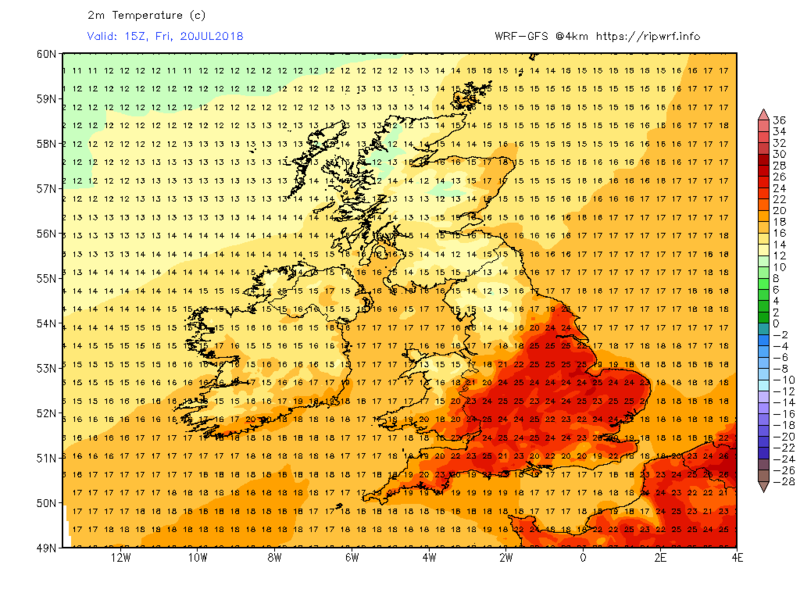 On Monday not a huge change to this scenario except a more marked delineation between the NW and SE with the latter becoming hot. 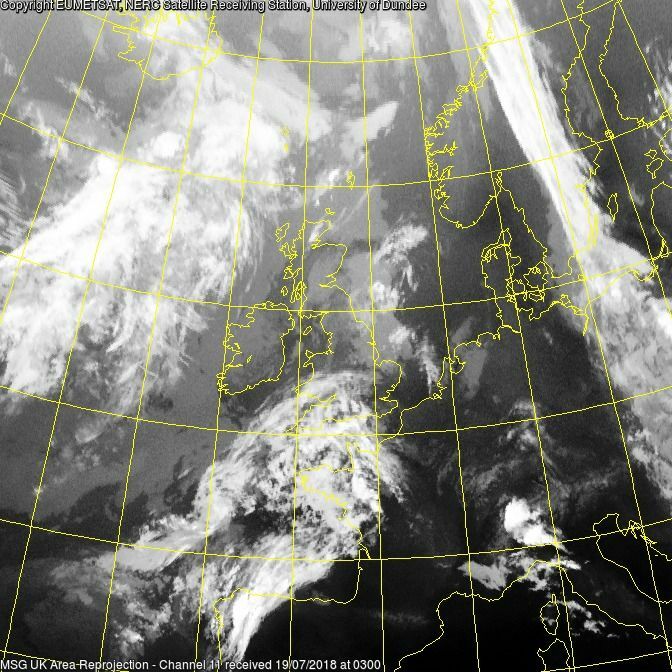 whilst the former still under cloud and patchy rain. 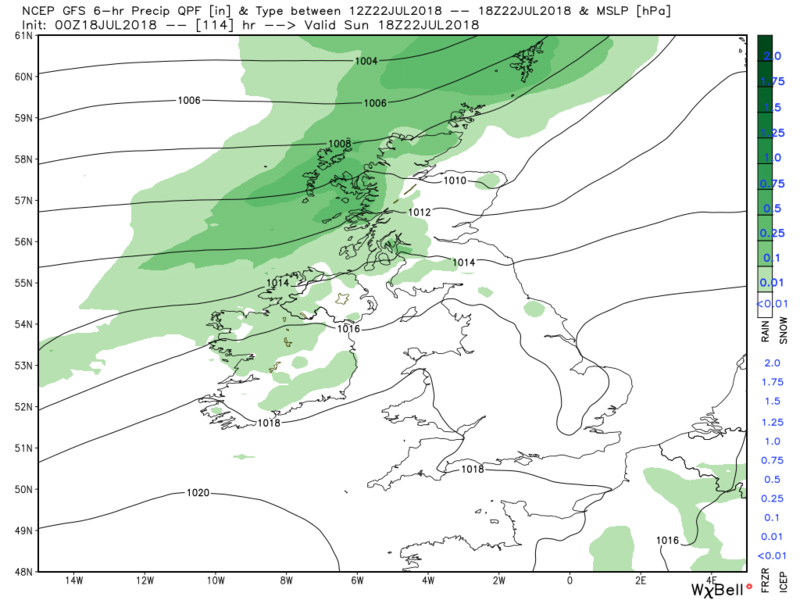 A similar story on Tuesday with upper trough established to the west (where we came in earlier) with the very sharp NW/SE delineation continuing. 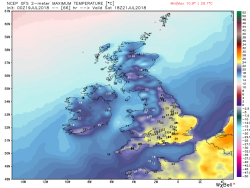 One other quick point. 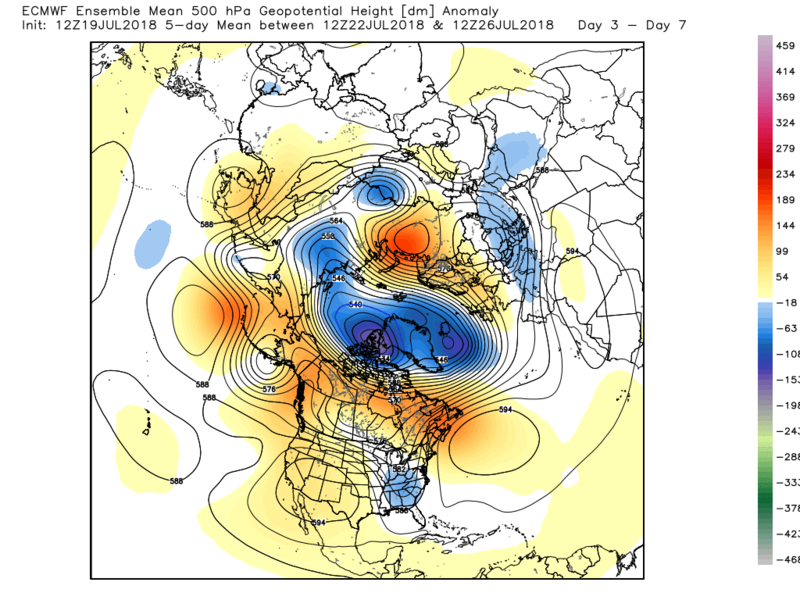 I posted briefly last evening about the ecm and a fragment being ejected from the vortex lobe into southern Greenland where it develops and becomes absorbed in the main Atlantic trough and how this develops is of some importance. 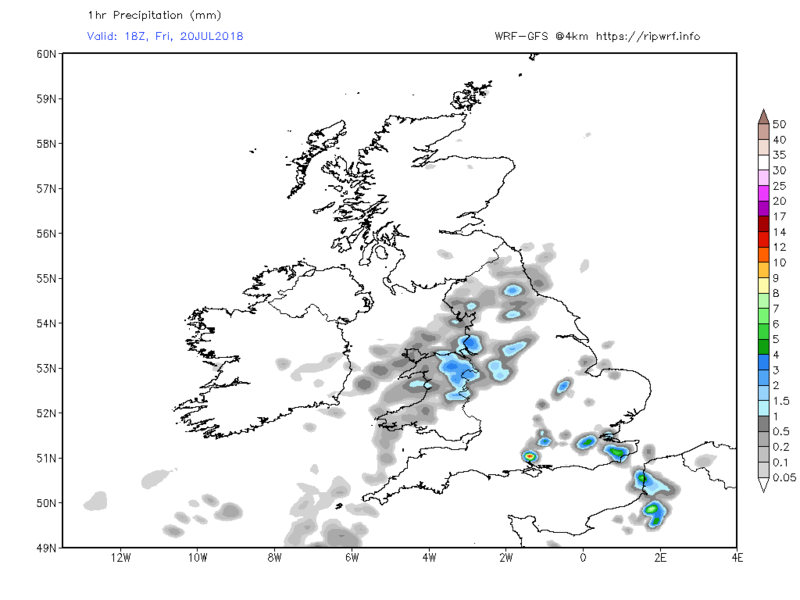 Well the same applies to the gfs this morning. 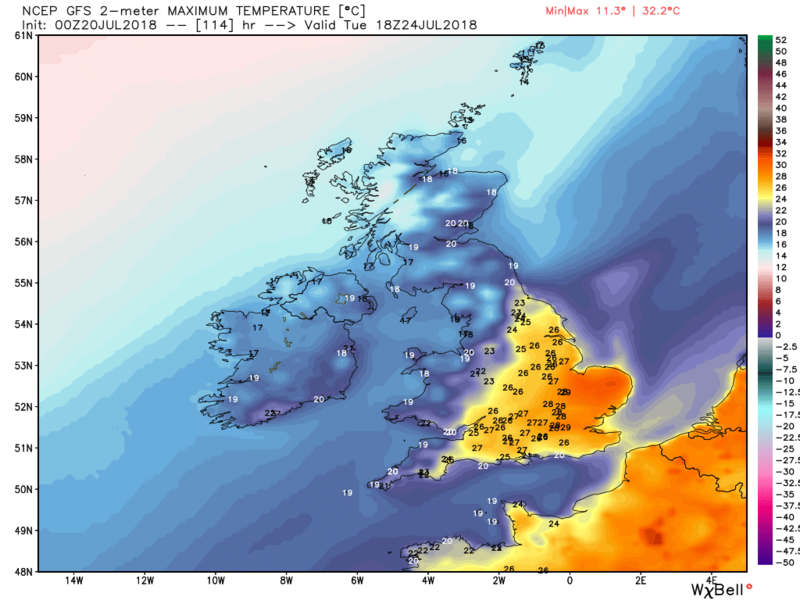 Well looks like I'm on the hot side of the line, which is nice. 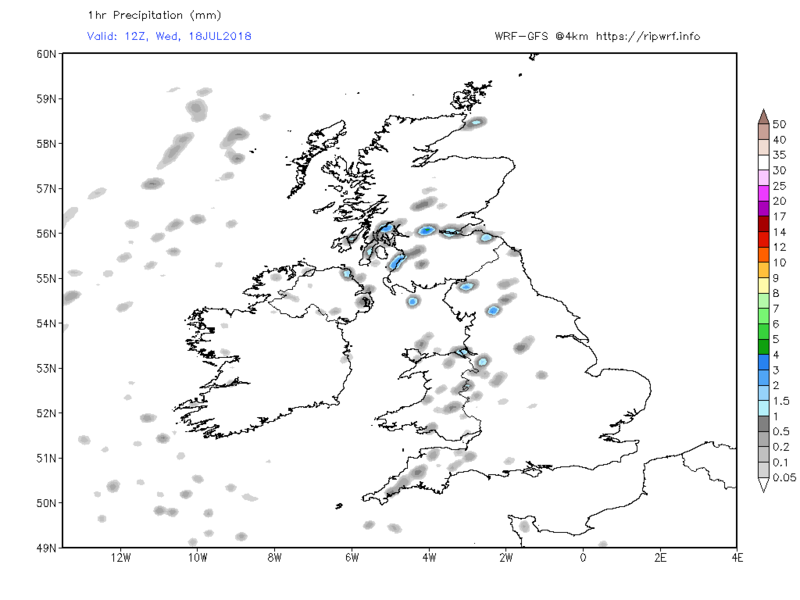 I think the precise positioning of the fronts which will separate the two airmasses next week is, as yet uncertain. 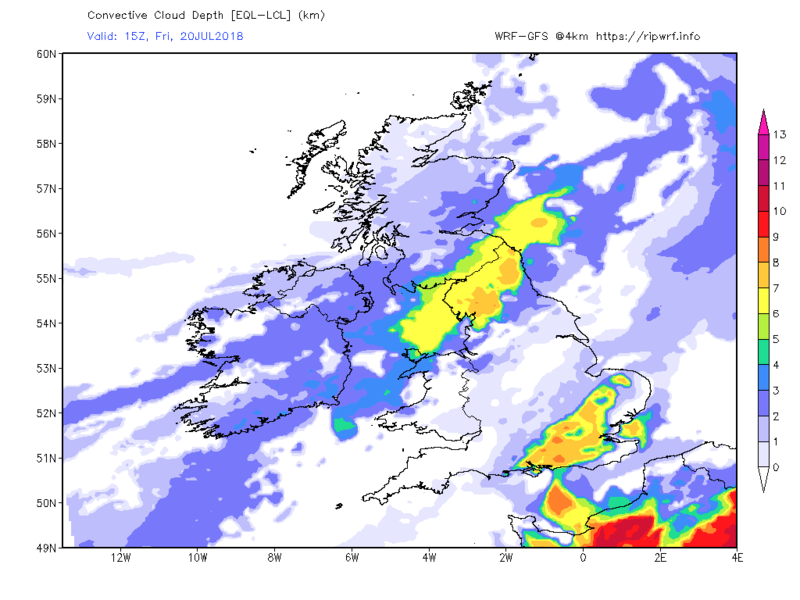 We're not even sure whether my area is going to see storms this afternoon or not, though this sort of scenario is one of the most difficult for even the short-range high-resolution models like the AROME and ARPERGE to determine. 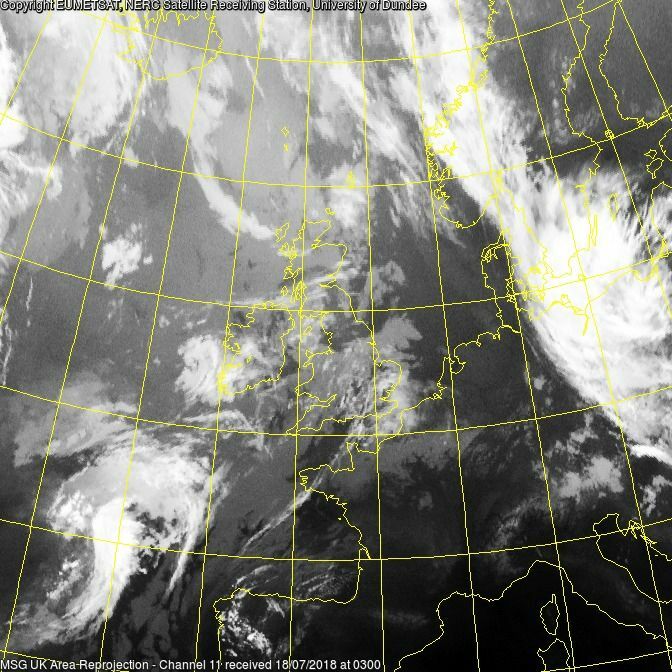 Well, we're on the cloudy, non stop rain side, which isn't. But what would you complain about if you were on the sunny side?